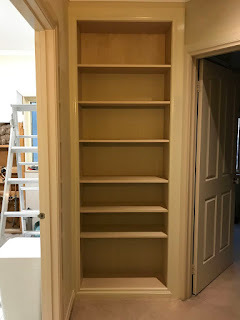 The bookshelf is finished. 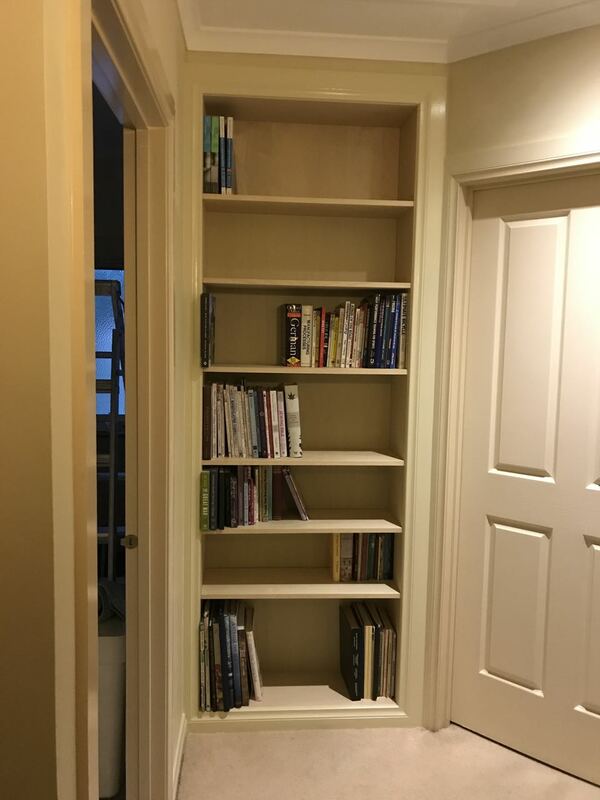 The door to the toilet has been replaced with a bookshelf. 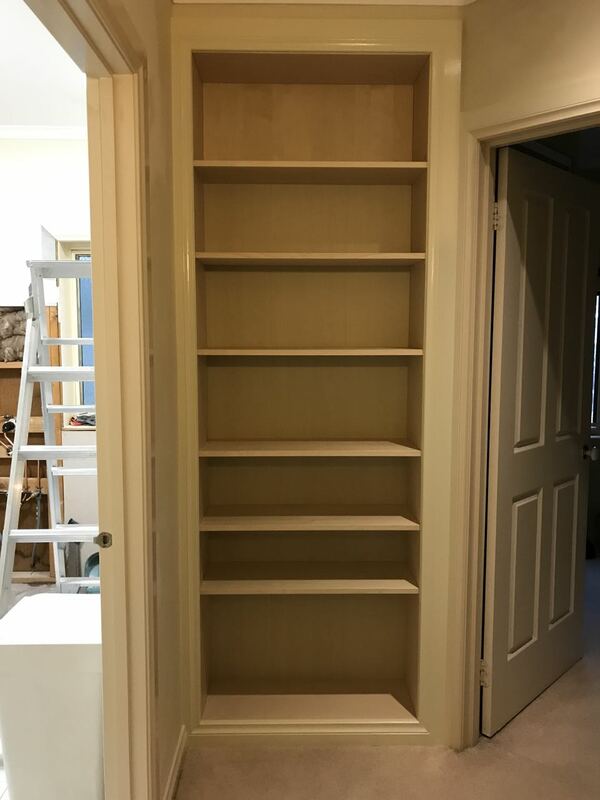 Now to fill it. I think our son has a pile of books he has been keeping from school in his cupboard. Glad we have space on our new bookshelf. Having decided that it was too expensive to continue with a paid website, I have moved to a free blog. 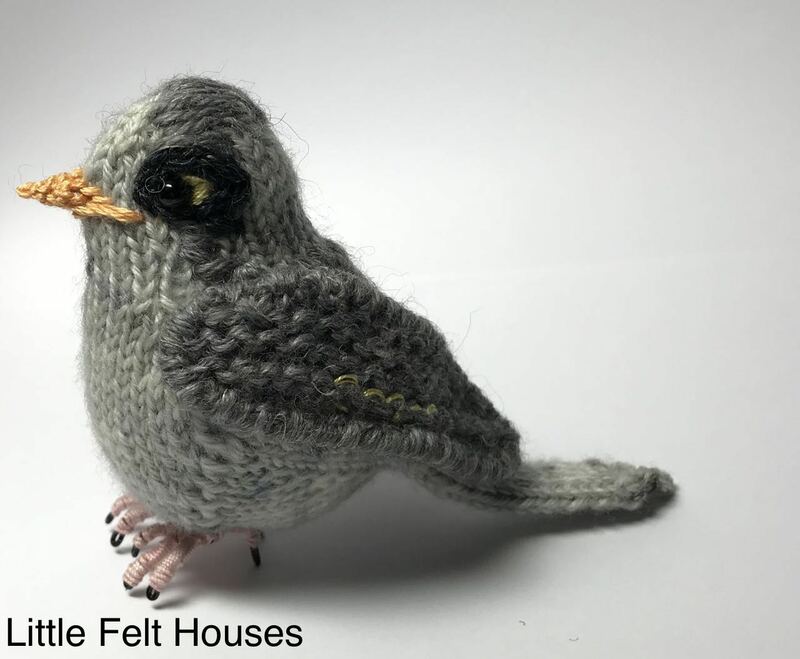 I am so happy I can use the Little Felt Houses title, now just with blogspot added to the address. I am in such a routine of blogging something everyday and enjoy working out what to blog about. Sometimes it makes me work on something just so I have something to say. These little koala brothers have been mailed to little baby James. Hope they arrive safely. 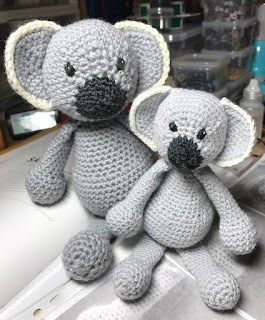 They are from Kerry Lord's book Edward's Menagerie, the larger in 8ply, the smaller in 4ply.